I get it. 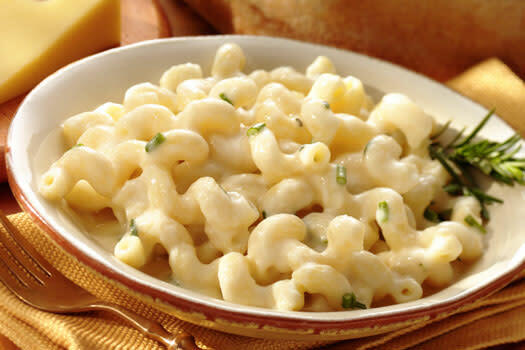 We are smack dab in the middle of swimsuit season and I’m posting about macaroni and cheese. What is my deal?! I can’t help it - I’ve had an insatiable craving for carbs and cheese. It could be that I’m 6 months pregnant, or it could be that this recipe from Ember Grille & Wine Bar has not one, not two, but FOUR CHEESES. (swoon!) This recipe is also for only ONE serving. So…you can either double it and share…or just make enough for yourself. You decide. Heat sauté pan on medium flame. Add béchamel, truffle peelings, and cream; stir until incorporated. Let the mixture reduce slightly. Add 1 ½ cup cheese blend, stir until cheese is completely melted. Add pasta and truffle oil. Mix completely and season with salt and pepper. Spoon mac and cheese into a serving bowl. Top with reserved cheese blend and place in salamander (or under a broiler) until cheese is melted and golden brown. 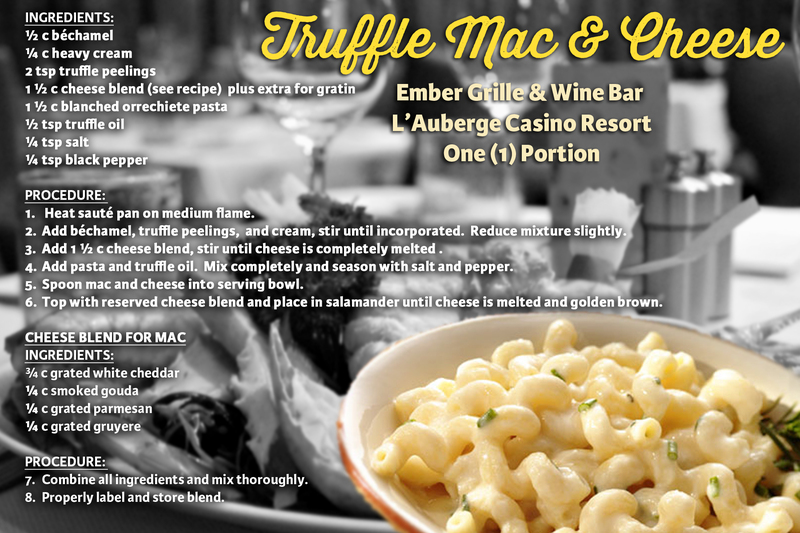 For a more luxurious experience, treat yourself to this recipe and other outstanding menu items at Ember Grille & Wine Bar. We all know things taste better when they are prepared FOR YOU. Happy eating!